Brisbane this week was buzzing with International and National practitioners that came to attend the 2018 World Congress Of Science factual Producers that was staged at Brisbane Convention Centre over four days. The event was staged in San Francisco last year, and Brisbane City Council had secured the event 3 years ago with many other Partners and sponsors who lead to make the event highly successful. The host broadcasters where ABC SBS, and other partners of the event were some of the leading creative film schools Griffith University, QUT, and with a host International production and distribution broadcasters from all over the world. For many producers that where attending the event it gave them the opportunity to have meetings and to pitch product ideas for film on TV and hear the forecast of film and TV industry. With the ever-changing World of Broadcast now due to more streaming channels developing around the world, there are more opportunities to work with coproductions, as this was the main messages that many of the broadcasters were speaking of. One of the highlights of the event that was presented on the last day was a speaking session that was presented by the very respected Award winning filmmaker “Lord David Putnam”. He had a standing ovation as he shared the forecast of how he saw the perspective of the film industry moving and climate change which he particularly detailed his concerns of the global warming. 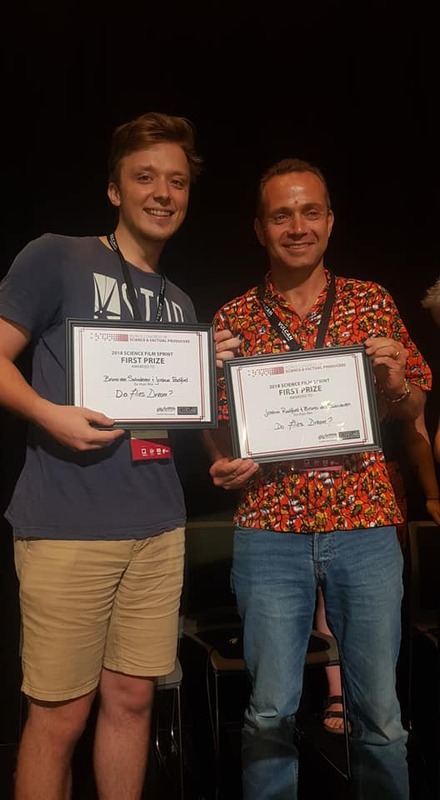 The last season yesterday with the Science Film Sprint that had the support of LiveLab at Griffith Film School, launched the inaugural Science Film Sprint film competition at Congress ’18 in Brisbane, from November 27 to 30, 2018. Five documentary and factual filmmakers were paired with five leading scientists to produce a creative short science film over 72 hours during Congress ’18. The selected filmmakers and scientists met on November 27. Teams had three days to collaborate and develop, write, shoot and edit their film. The winner was Scientist: Bruno van Swinderen (Queensland Brain Institute) with Director: Joshua Radford (Australia)n for DO FLIES DREAM? The prize included that Joshua Radford will be joining Congress 2019 in Tokyo! The judges were, Shaminder Nahal from Channel 4, Takahiro Hamano from NHK and the new WCSFP conference director Paul Lewis. The conclusion of the event was a great success as Alison Leigh part of the editorial team of Congress 18 was over the moon with the response on all levels.